A gratitude journal is a powerful tool that you can use to grow your faith. It helps you see and reflect on the good things in your life – both small and large, and is a perfect way to express your thankfulness and gratitude to our Lord. Scripture says that we should be thankful in all circumstances (1 Thessalonians 5:18), a gratitude journal can help. 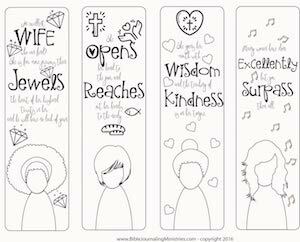 This month we’re giving away our Gratitude Journal printable. This printable is only available to our email subscribers, so please scroll down to the bottom of this post if you’d like to join our list. If you’re here after November 30, 2017 – please find it available to purchase in our store under Traveler’s Notebooks. You will also get this journal if you take our free Beginner’s course this month. Date – put today’s date here. Morning Gratitude: Today I’m Thankful For – In the morning, write down at least one thing you’re thankful for. Examples include a new day, your job, family, birds chirping, breath, health, the ability to get out of bed, God’s provision, and more. Verse – Write down today’s verse to ground your thoughts, and think about it throughout your day. Challenges That Occurred Today Helped Me Learn – In the afternoon, think through the challenges that occurred. Try to see them as an opportunity to learn and grow. Be thankful for them too. Afternoon Gratitude: The One Thing That Was Awesome About Today Was – In the afternoon, write down one thing that happened that was awesome in your life. It could be that you earned an income, cleaned the house, picked up your kids on time, called a friend, took a break for lunch, journaled in your Bible, etc. There are so many moments in the day were blessings happen. This is the section in your journal to say thank you for them. Here’s a video that shows you how to assemble your gratitude journal. If you don’t have our printable, you can use anything like scrapbook paper or copy paper. When I take things for granted and dismiss his gifts as small, I don’t honor him. Truth be told, there isn’t anything in life that is small. The air I breathe, the ability to love, the chance for friendships, and salvation are big things! I must recognize those gifts and honor God with my heart. Colossians 3:17 and many other Bible verses, remind us to give thanks to our Lord. It is so important to honor God with gratitude. As you wrap up November, don’t stop your gratitude journal. You can use the insert every day! I recommend keeping your completed Gratitude journal in a photo box for prosperity. It’s neat to go back and review them year after year to see the positive transformation that has happened throughout your journey. They’re also great to pass down to family members as a way of showing just how awesome our God is. 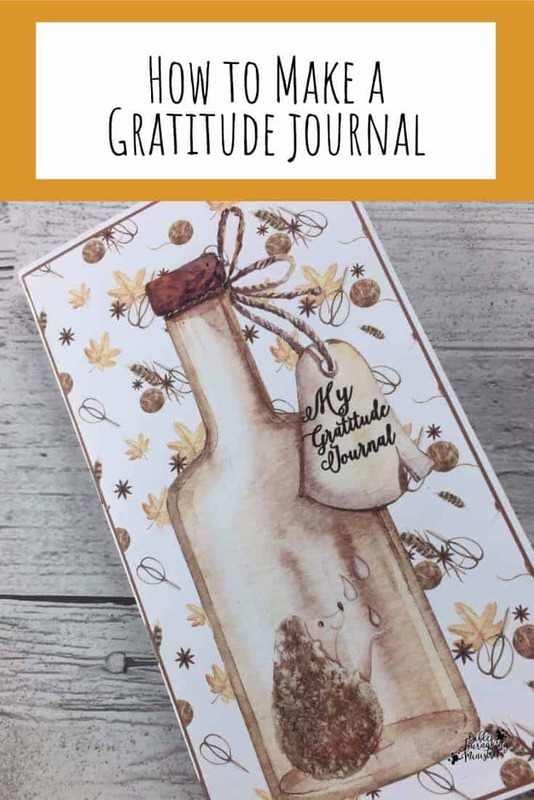 Do you use a gratitude journal every day? I’d love to hear your tips for keeping this amazing practice of faith in the comments below.